Police forces on the Solomon Islands recently declared their willingness to intensify cooperation with their Indonesian counterparts. This raises concerns among West Papuans. So far, the Solomon Islands have been a strong defender of human rights and self-determination in West Papua. However, this could change if Indonesia and the Solomon Islands were to deepen their collaboration in areas such as security and policing. The Solomon Islands government says its strong stance on issues relating to West Papua is separate from proposed policing co-operation with Indonesia. Along with Vanuatu, Solomon Islands has been a strong proponent for indigenous West Papuans' rights to self-determination and an end to human rights abuses in Indonesia's Papuan provinces. 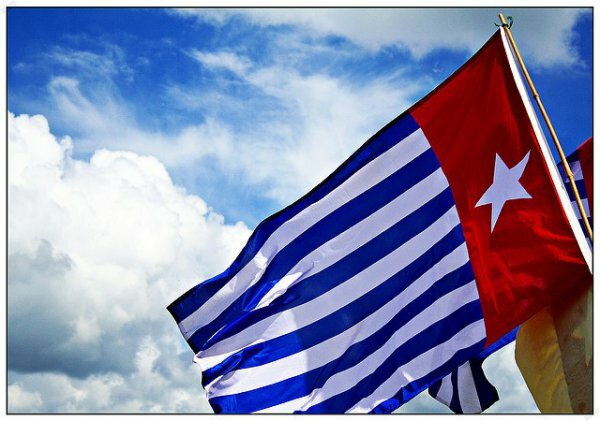 Indonesia has associate member status in the Melanesian Spearhead Group and is opposing a bid for full membership in the group by the United Liberation Movement for West Papua, which has observer status. The membership issue has caused divisions within the group with the governments of Papua New Guinea and Fiji siding with Indonesia, while Solomon Islands and Vanuatu support the ULMWP. Support for West Papuan representation in the MSG is based on strong regional concern about ongoing reports of human rights abuses in Indonesia's Papua region by police and military forces. However a recent announcement by the Solomon Islands police minister that local police were seeking to strengthen co-operation with the Indonesian police has raised questions about the country's position on West Papua. Solomon Islands Foreign Minister Milner Tozaka however said any co-operation arrangement with Indonesia comes under existing bilateral relations and does not compromise the country's stance on West Papua. "We are at liberty to maintain our good relationship with any country." "Therefore in terms of policing if the ministry of police and corrections see that this is in line with our policy and it is best for our Royal Solomon Islands Police Force that should be quite acceptable," he said.